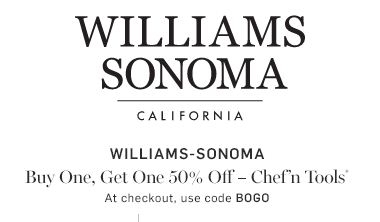 Amy Line Gallant Simply enter the code during the checkout process to apply this discount. Cannot be used with other promotions or discount codes. Rafael Antonio Pirela I am validating that this deal works as described. Enter code at checkout and get Offer. Submit your order. This is a limited time offer. Thanks for visit this deal. Laura DeLuca There is no code needed to apply this discount. 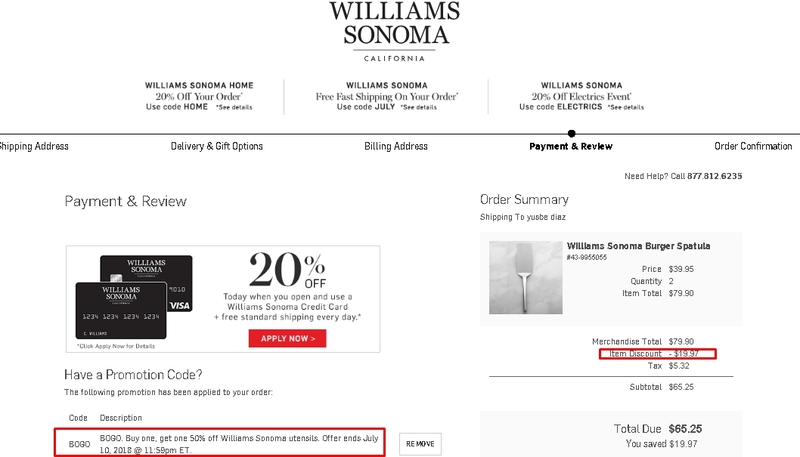 The discount will be automatically applied during the checkout process. Duvan Alberto Only put this code in your cart. Enjoy the discount. This offer cannot be combined with any other offers. Offer is not valid for any bulk purchases, clearance or sale items and is subject to availability. This is a limited time offer. Thanks for visit this deal. Levy José Muñoz Macho I am validating this deal. Promo code BOGO is active and works as described. 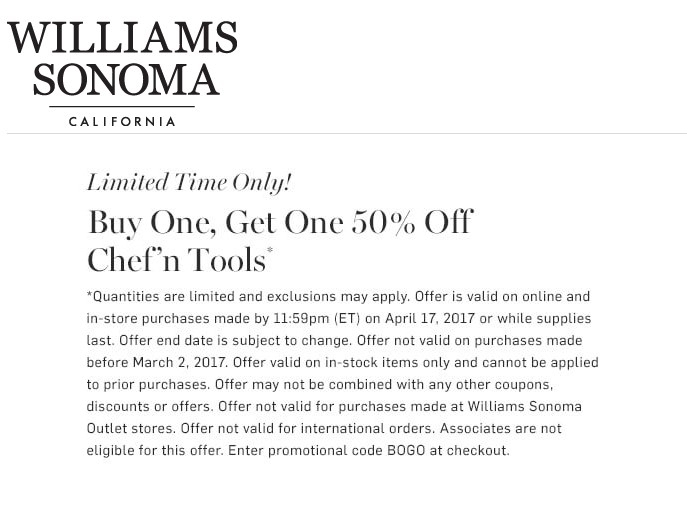 Buy One, Get One 50% Off Chef'n Tools at Williams-Sonoma. Ellen LaFleche-Christian This deal is correct as stated. 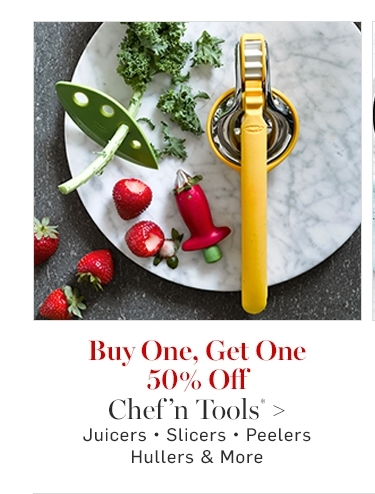 The chef'n tools are buy one get 50 percent off. 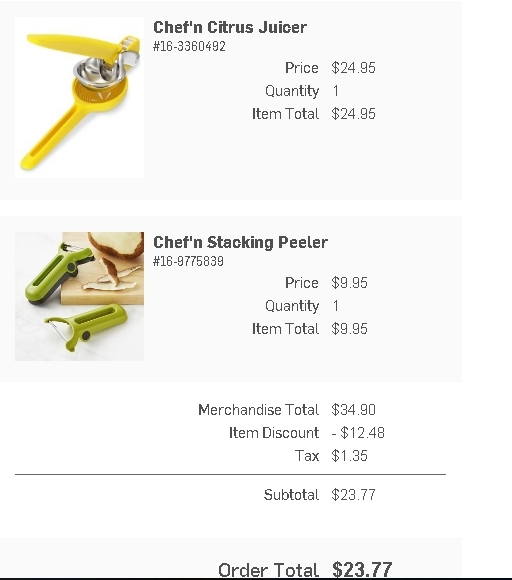 Looks like a great selection of different kitchen products. Genesis This agreement and it works as described. 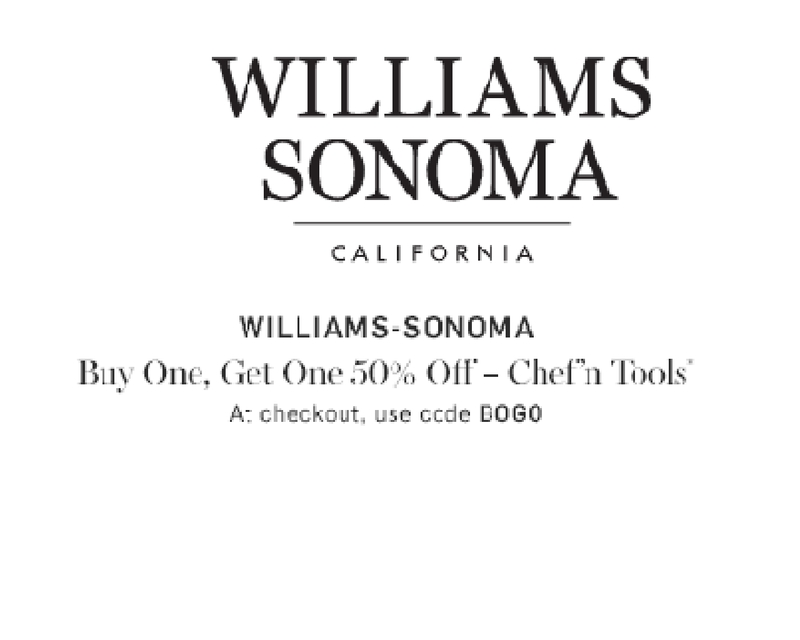 This is a great promotional code in the store. You will have a good price after applying the code on your purchases. Enjoy your purchase.